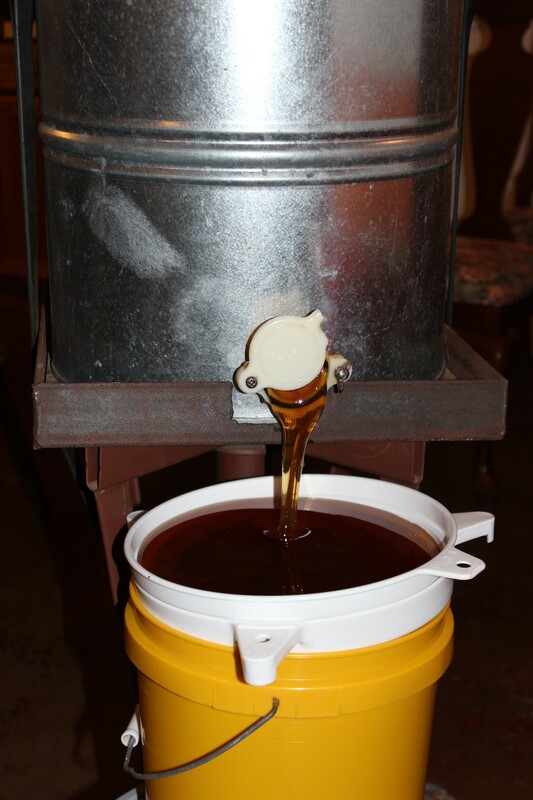 We just extracted honey from our downtown yard this past week and boy oh boy is it some YUMMY honey! 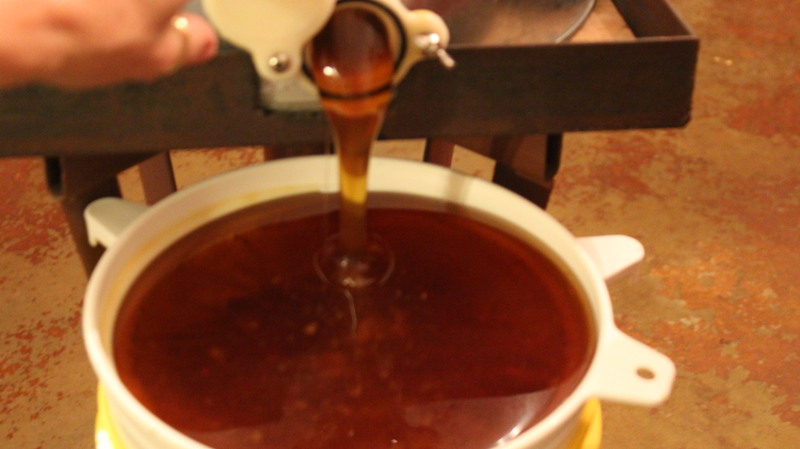 Its a light sweet floral honey with a slight touch of cinnamon taste to it. Very interesting, I wonder what flowers the bees were browsing on downtown! 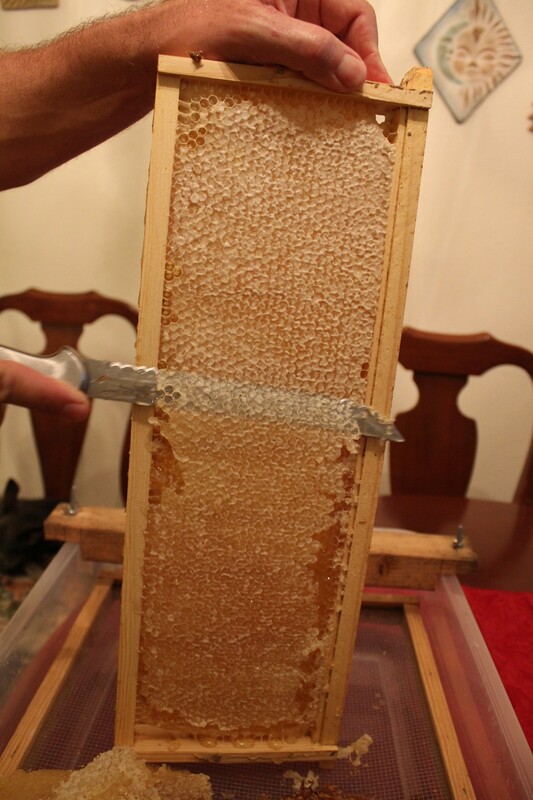 I LOVE the taste of this honey! 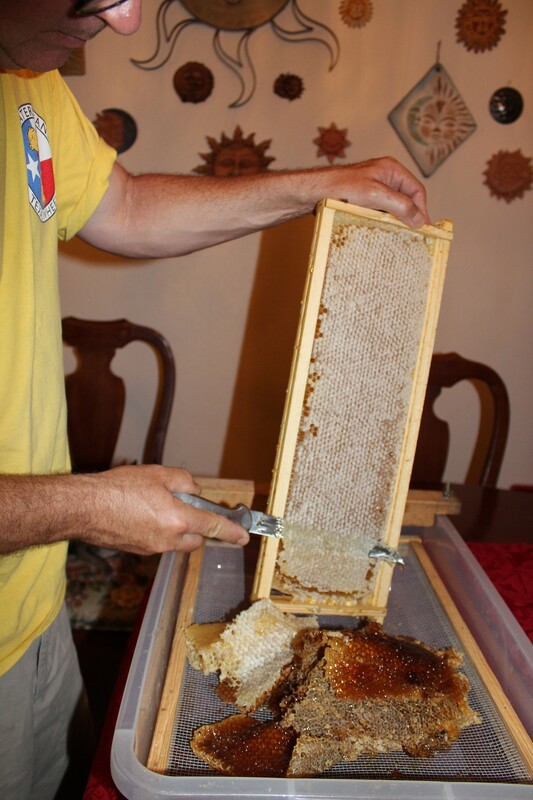 Everyone asks us a lot of questions about our honey: Is it raw? Is anything added to it? Is it heated or treated? The answers are YES, NO, NO respectively! 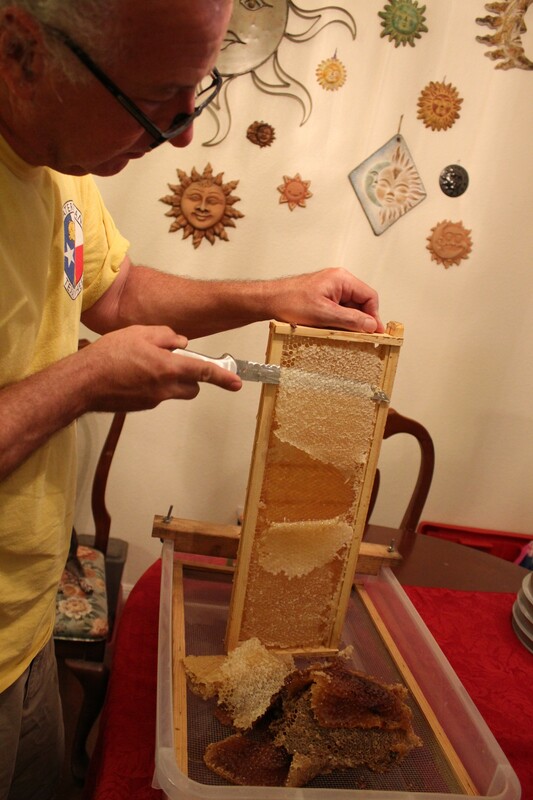 So I decided to take a few photographs of Chuck while he was going through the extraction process to show you just how we get that PERFECT honey from HIVE to BOTTLE! Enjoy! 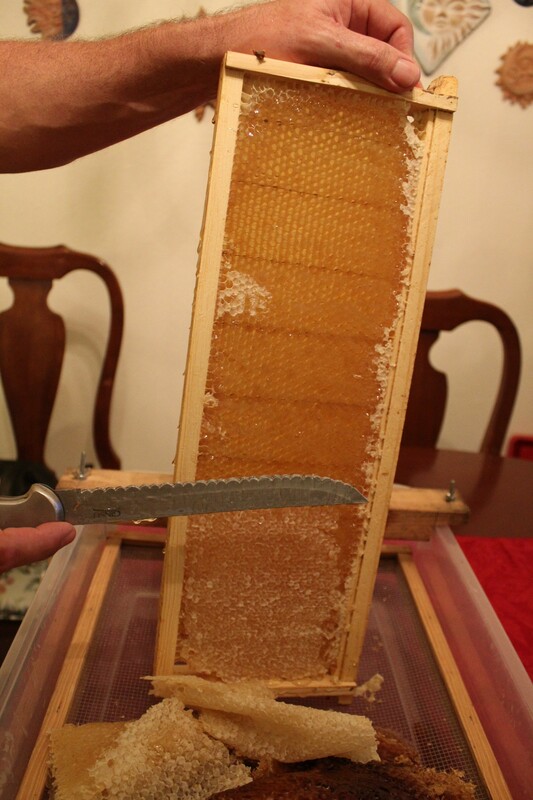 First you have to UNCAP the honey that is on the frame. Above photos show Chuck using a regular cold knife to slice off just the outer layer of wax capping. Then we check basically the humidity level of the honey with a refractometer. 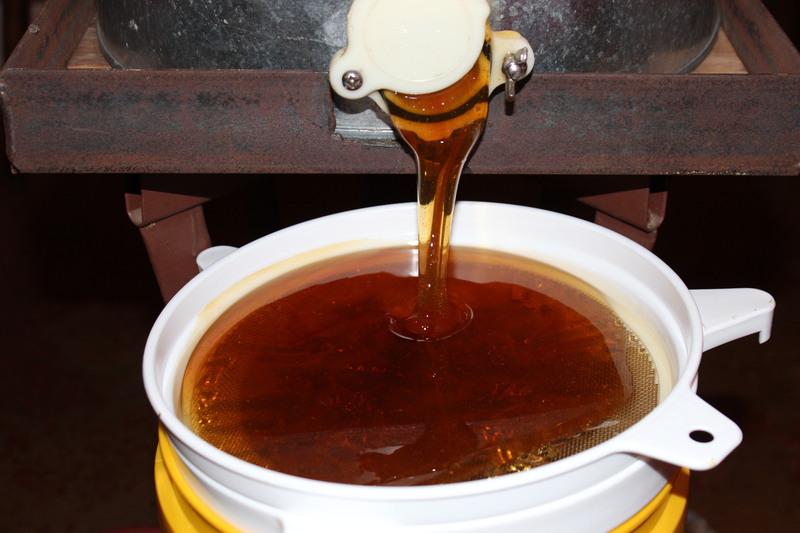 Good capped honey should be below 18% water, so that it won’t spoil. The buckets can then be marked and stored for bottling. We like to bottle our honey in the old fashioned glass Muth bottles, this is what our customers prefer. 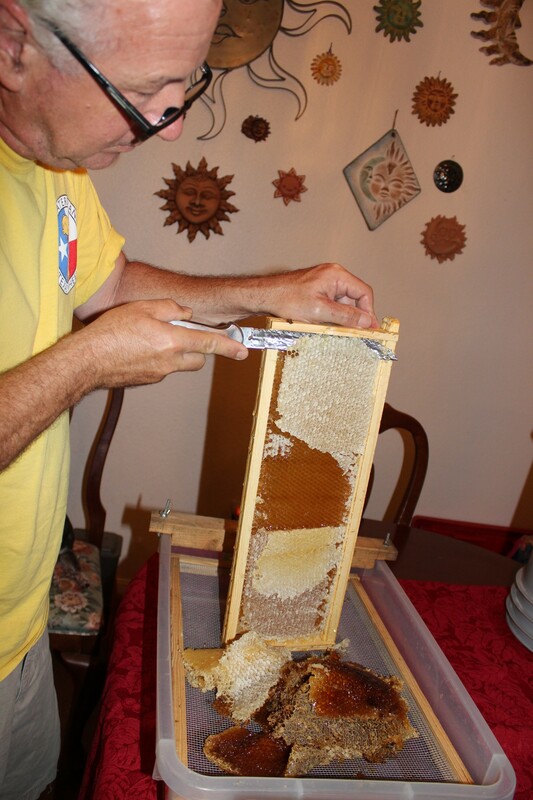 Now you see what I mean when I tell you that our honey is RAW, NATURAL, LOCAL, TEXAS HONEY!